With all of the great Adventures that we offer, and the cool places we get to see, sometimes the host city (the city you fly into or out of) can get overlooked! These cities are often great destination, and when you are looking into Alberta adventure travel, Calgary is no different! As for what to do, the possibilities are endless! First, there is the Heritage Park, which is a living historic site/amusement park! It gives visitors an interactive look into the past, and how the “west was once!” It is great for all ages. There is also The Calgary Zoo, which boasts more than 1,000 animals, including Kamala, the famous painting elephant. The Zoo also has Botanical Gardens and a Prehistoric Park. I love Zoo’s so I always like to see if there is one at my destination! 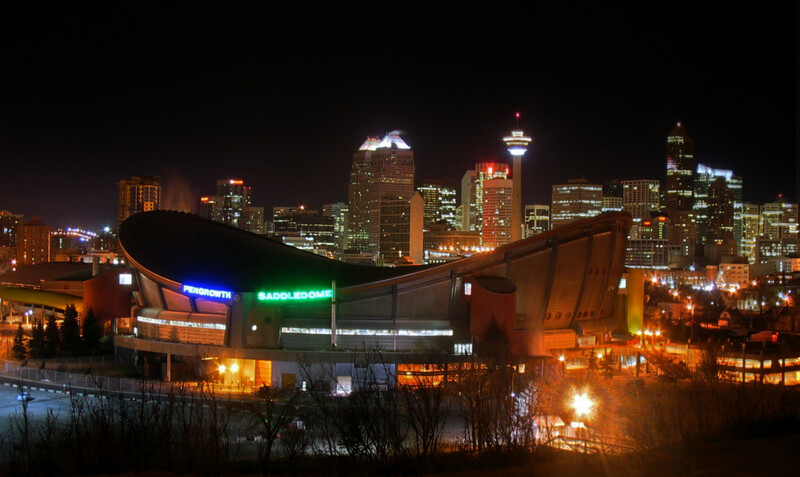 The Calgary Tower held the ongoing flames of the 1988 Olympics, and since then has become a wonderful tourist attraction. And don’t forget about Canada’s Olympic Park! There is also a great Aero- Space Museum. Glenbow Museum, the largest museum in Western Canada, exhibits everything from the traditions of tattooing to life in different tribes in Western Africa. If you are looking into hikes, you should check out Edworthy Park and Douglas Fir Trail! The views from the top of the hill are breathtaking! And it might be good practice before your guides pick you up for yourÂ adventure vacation packages in the Canadian Rockies!